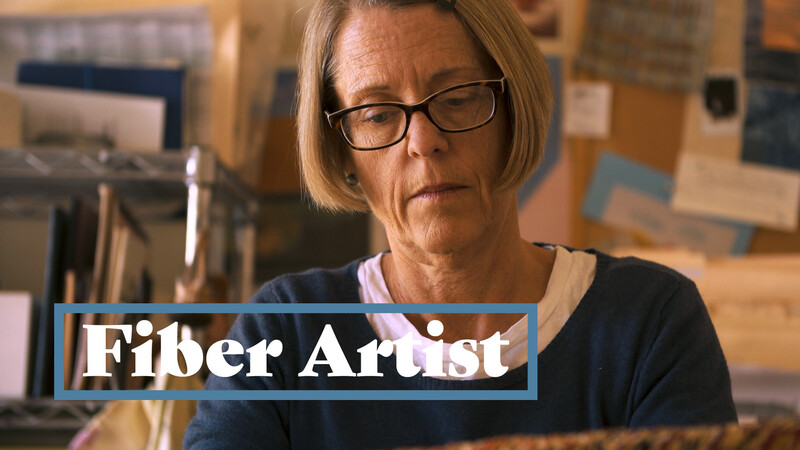 This week we kick off season five of Beyond the Gallery with Wendy Kowynia, a fiber artist in Steamboat Creates. Making artwork is the way Wendy chooses to express this gift of what it means to be a human being. Wendy Kowynia has lived and worked in Steamboat Springs, Colorado since 1991. She has worked in textiles since 1985, and currently exhibits at West Gallery in Steamboat Springs and Space Gallery in Denver, CO. Her work is strongly influenced by the textile traditions and aesthetics of Japan. Wendy’s most recent work ranges from large-scale woven and dyed hanging panels, to small works involving knotting, lace and brocade. Her interests lie in the iterative nature of time and existence: the accretion of moment upon moment, memory upon memory, thread upon thread.